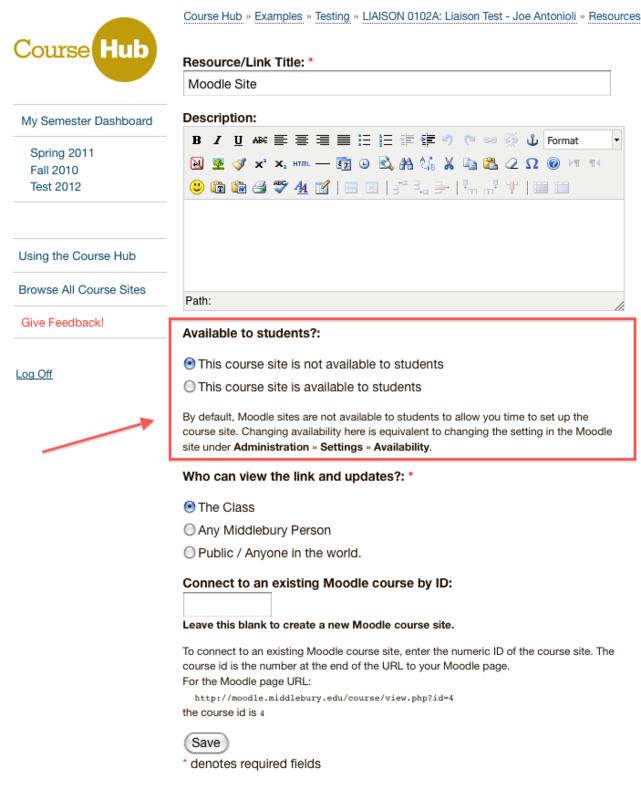 By default, when you create a Moodle site it is set to be “not available to students” to give you time to add site content before students can access the site. This entry was posted in LIS Staff Interest, Middlebury Community Interest and tagged Course Hub, Curricular Technology, moodle, Web Application Development on October 10, 2012 by Adam Franco. 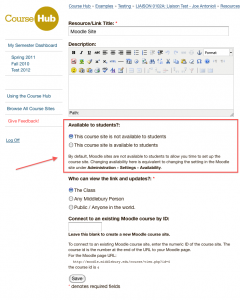 This entry was posted in LIS Staff Interest, Middlebury Community Interest and tagged Curricular Technology, moodle, segue, WordPress on December 19, 2011 by Alex Chapin. Louisa Stein is an assistant professor of Film and Media Culture. In the spring of 2010, I interviewed Prof. Stein about her use of technology in a number of her courses. 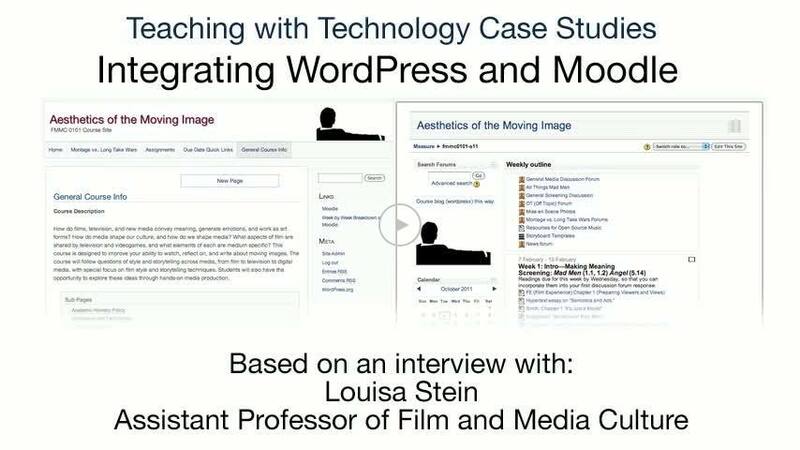 Below is a screencast from that interview that describes her use of WordPress and Moodle in a first year seminar course on the “Aesthetics of the Moving Image.”. This entry was posted in LIS Staff Interest, Middlebury Community Interest and tagged Case Studies, Curricular Technology, moodle, screencast, Teaching with Technology, WordPress on December 8, 2011 by Alex Chapin. 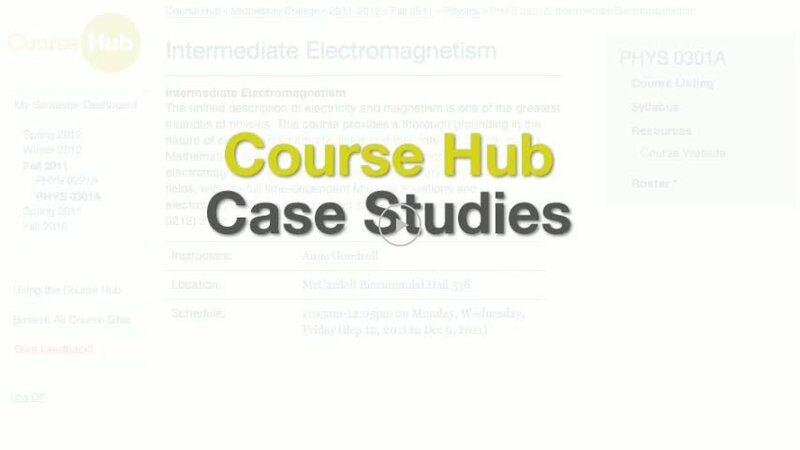 The Course Hub is being actively used by a variety of courses this fall. To give a sense of the different ways faculty are using this new platform, we’ve made a short screencast that shows a number of courses and some the resources they have linked to their course hub sites. This entry was posted in LIS Staff Interest, Middlebury Community Interest and tagged Case Studies, Course Hub, Curricular Technology, moodle, screencast, Teaching with Technology, WordPress on December 1, 2011 by Alex Chapin. The Curricular Technology team has scheduled workshops and work sessions for faculty on various platforms that are available for teaching and learning. Workshops typically provide overviews of a given platform. 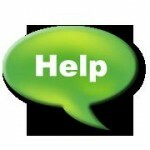 Work sessions are designed to provide hands on support and consultation. This entry was posted in LIS Staff Interest, Middlebury Community Interest and tagged Curricular Technology, moodle, WordPress, workshops on December 1, 2011 by Alex Chapin.